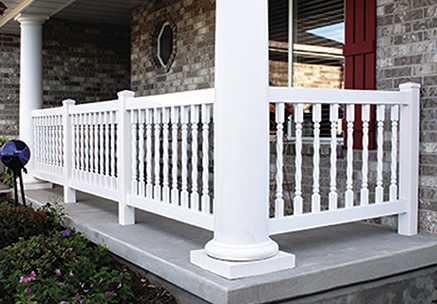 We offer a complete line of balusters, railing kits, and accessories. Each one is made using high-quality materials and features superb craftsmanship. 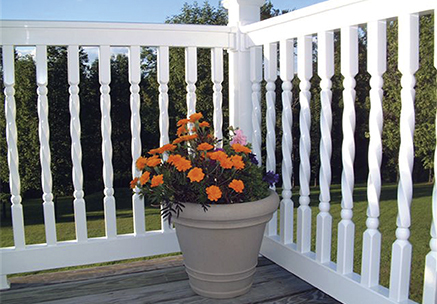 The balusters provide superior strength and quality, unique patented designs, custom colors, and lengths. We even offer private label and designs. And, you will appreciate our Rapid Ship Program. Some of the features of the railing kits are heavy-duty reinforced parts, pre-packaged for easy install, no painting, staining or splinters, and a lifetime warranty. We also specialize in custom orders. No job is too small. Choose the model that best suits your customer’s needs. Click on the image to see specific product information.